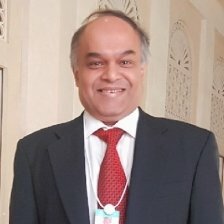 Based in London, Ajit’s work work spans research, entrepreneurship and academia relating to Artificial Intelligence (AI) and Internet of Things (IoT). He is the course director at Oxford University on “Data Science for Internet of Things”. Besides Oxford University, Ajit has also conducted AI courses in LSE, UPM and part of the Harvard Kennedy Future society research on AI. Ajit publishes extensively on KDnuggets and Data Science Central and his book, Data Science for Internet of Things, is included as a course book at Stanford University. He was recently included in top 16 influencers (Data Science Central), Top 100 blogs (KDnuggets), Top 50 (IoT central), No 19 among top 50 twitter IoT influencers (IoT Institute).